This entry was posted in Beach and tagged Bricks, combing, rubble. Bookmark the permalink. Another stunning poem by Rebecca Goss and beautiful picture too from the natural world of pebbles and stones. Thank you Wendy! 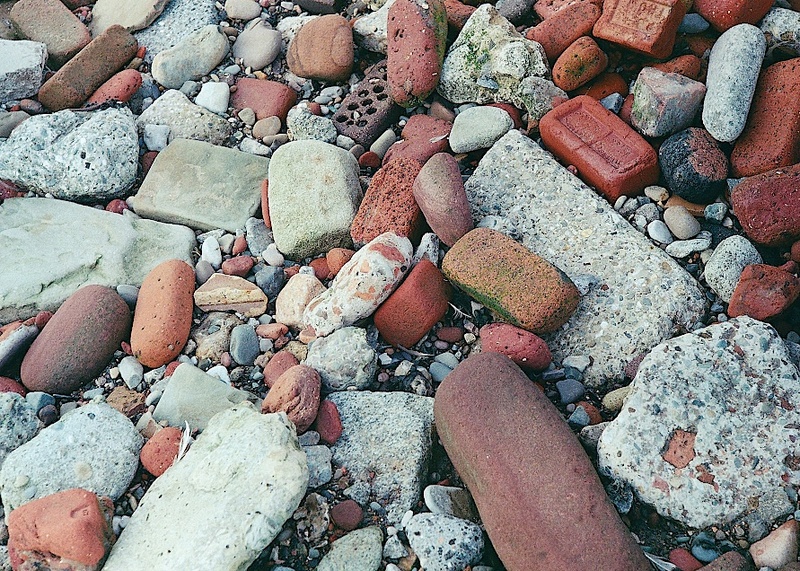 It’s not all factory rubble at Crosby. Antony Gormley’s ‘Another Place’ is quite something. Worth a visit. Thanks Wendy. You can just make out a couple of Gormley’s iron men in the background of this slow-shutter photo of a wet dog.